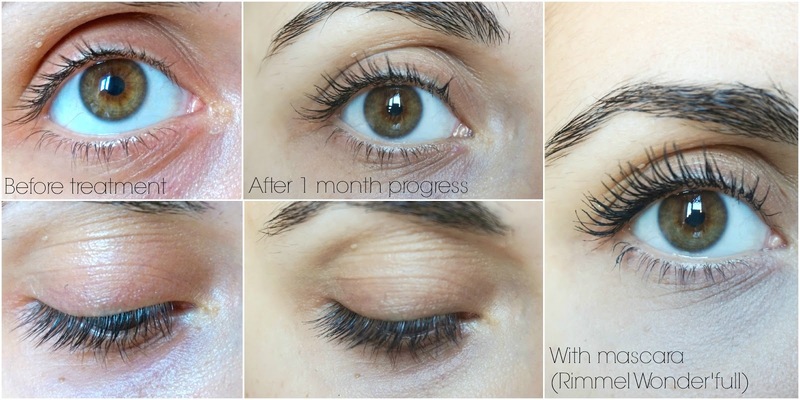 So it's been one whole month since I first introduced the Realash Enhancer* to you all and as promised here is how my eyelashes are looking 1 month into this whole experience. I have been using this nightly since receiving it as I apply it to the root of my lashes, pretty much like a liner. To make sure I remember to apply it every single night I have it right by my bed and usually put it on just before I get into bed. It's now become part of my nightly routine. I was quite sceptical about this product having never tried one before but after 1 month of daily use I can safely say that there is a slight change in my lashes so far. I hope you can all see that there is definitely more fullness and volume to them, which also helps with the curl of the natural eyelash. Unfortunately I can't see a difference in the length just yet, but hope that with daily use over the next two months of what is left of this trial I will start seeing an improvement with that issue also. I am quite please with the results so far, even though they are not massive improvements its good to know that something is definitely working. I guess I had expected more, but even the slightest difference helps in my opinion and the trial has not ended yet, as I've still got another 2 months to go. Once I have used this product for a full 3 months I will give you my final verdict and show you the total improvement. Until then here is the brand's website and other social media sites where you can find all the information needed.